As friends and family mourned a Delaware State Trooper shot and killed in a Wawa parking lot, a suspect in the case opened fire overnight on police trying to end the standoff. 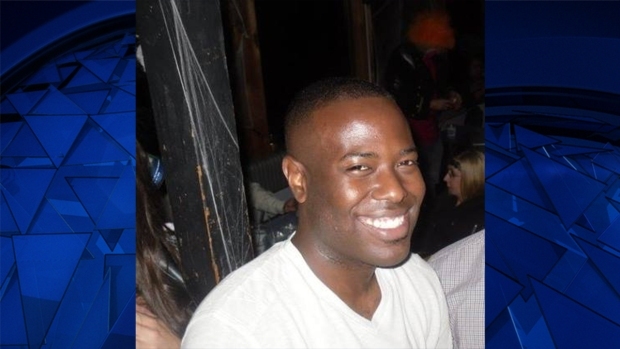 Officials identified the trooper as Cpl. Stephen J. Ballard, 32. Ballard was an 8-plus year veteran of the Delaware State Police assigned to Troop 2, Glasgow. He lived in Milford, Delaware but was originally from Bowie, Maryland, He also got married earlier this year. A police procession was held early Wednesday evening as Ballard’s body was taken from Christiana Hospital to the Medical Examiner’s Office in Wilmington, Delaware. Troopers carried a flag-draped coffin into the building. Investigators said the ordeal began shortly after noon Wednesday when Ballard observed two people inside a suspicious vehicle in the parking lot of the Wawa store at 1605 Pulaski Highway (US Route 40) in Bear, Delaware. After Ballard approached the two men, a struggle ensued, according to officials. One of the two suspects then exited the vehicle and fired several shots, striking Ballard. Allen and three other witnesses ran to Ballard and tried to perform CPR on him. Allen said the trooper’s gun was still in his holster as he was on the ground. Ballard was taken to Christiana Hospital, where he died from his injuries. Responding police officers arrived at the scene and took one of the suspects into custody. Another suspect ran away on foot. Police say the fleeing suspect eventually arrived at a home on the 500 block of St. Michaels Drive in the Brick Mill Farm Development in Middletown, Delaware, about 15 miles away from the Wawa. A SWAT team and officers surrounded the home and a barricade situation was declared. The suspect refused to come out and even fired shots at police, investigators said. The Explosives Ordinance Disposal Unit (EOD) used an explosive at the front door of the home at 8:22 p.m. but officers did not enter the house. The suspect remained barricaded inside as police continue to try and persuade him to surrender. He opened fire on officers, again, around 4 a.m. Thursday, police said. Some residents in the Brick Mill Farm community were evacuated while others weren’t allowed to leave their homes. Brick Mill Elementary on Brick Mill Road was during the standoff. The lockdown for the school was later lifted but the lockdown for the homes is still in effect. The Odessa Fire Company at 304 Main Street in Odessa, Delaware opened its facility to temporarily house any evacuated residents. Two of the evacuated residents, Lori and Todd Capriotti, told NBC10 they live three houses down from the barricaded suspect. Lori Capriotti said she rarely saw her neighbors who live in the home and never noticed anything suspicious. Delaware police warned for people to avoid the investigation areas and expect possible traffic impacts. Brick Mill Road is currently closed between Marl Pit Road and Middletown Odessa Road (SR2999). Motorists traveling on I-95 southbound approaching Exit 1A in New Castle County, Delaware can expect delays as well. Throughout the night, residents in the area dropped off candles and flowers at the Wawa in Bear, Delaware to pay tribute to Cpl. Ballard. Delaware Governor John Carney ordered all flags to be flown at half-staff in memory of the fallen trooper. Delaware Senator Tom Carper also released a statement on Cpl. Ballard’s death. A spokesperson for the Wawa store also released a statement. Editor’s note: NBC10 initially erroneously reported the Wawa was in Newark rather than Bear, Delaware.